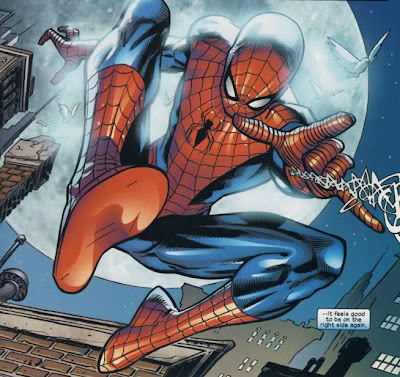 It's pretty universal that Marvel's mega crossover, Civil War wasn't that good to Spidey, with the whole 'revealing his identity to the world' thing. But there is one scene that was almost worth the cost of that out of character blunder, and it's tucked away in the pages of Amazing Spider-Man #537. How does Mr 50/50 turn into Captain 110% Affirmative? 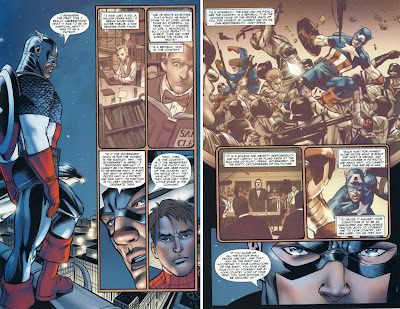 Why with one of Captain America's patent-pending, stir-your-gutt speeches of course, delivered on a rooftop like all good super-hero convo's are. 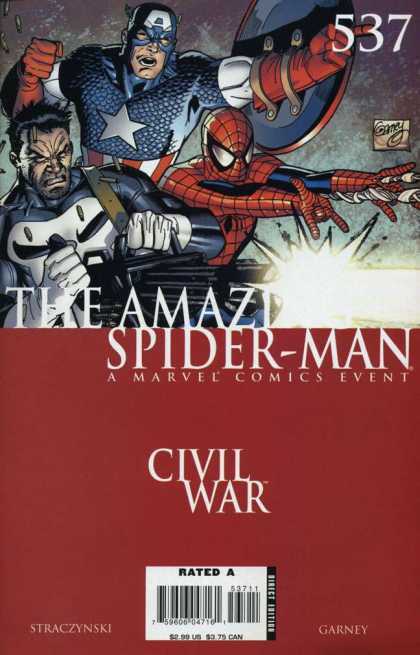 Written by J. Michael Straczynski (with a little help from Mark Twain), the issue is also amazingly illustrated by iconic Cap artist Ron Garney, and well worth a 'track-down n' pick-up' next time you're in town. And THAT folks, is how Captain America should be written. That made me stand up and clap. Really. Just ask the guys in the room. Good old JMS. He always was good at the rousing speech game. And at getting to the heart of issue and cutting through all the politics. "No. YOU move." I am using that. 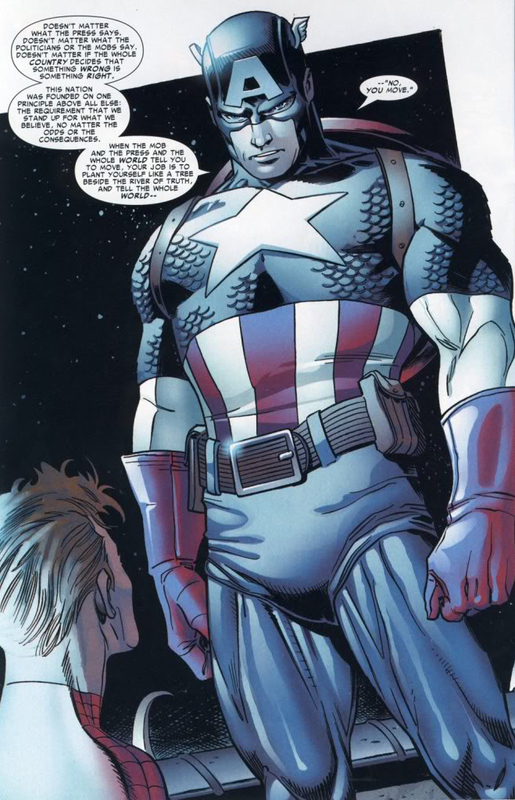 Yeah Random, you definitely can hear 'Cap' in that little super hero pep talk can't you? As a former councillor these kind of messages are key. So many issues for people are aggravated or instigated by what other people think or expect of them, it's nice just having a message that says 'be you - stick to your guns - and you'll get through'. I think that's a message at times we all need to hear.